It has been two years since I was last in India and almost five years since I ran my own research project in India. I am excited, although a bit nervous, to return to “the field.” For the past three years, most of my attention has been focused on coursework, teaching, learning methods and theories, and fulfilling requirements for my PhD in Sociology and Demography at Penn. Now it’s time to return to India to tackle new research questions. On my last trip to India, I helped run a large survey project for CASI in the Delhi National Capital Region (NCR). Before I started the PhD program, I had been the Research Coordinator at CASI and helped design the survey. We were interested in exploring urban life in India- from safety and transportation to social and political attitudes. One of the topics we were interested in was marriage. We asked people about their own marriage as well as their expectations for how marriage would be different for young people today. While most respondents reported that they had a “parent-only” arranged marriage, 62% of them also said that they expected young people in their family to have more say in selecting their spouse than they had. Our findings from the Delhi NCR match with national trends. Researchers have found a rapid rise in “joint-arranged” marriages in India, where children are consulted by their parents in selecting their marriage partner. By the 2000s, it had become the dominant marriage type, comprising 2/3rds of all marriages in India (Allendorf and Pandian 2016). Despite these results from survey data, little is known about these joint-arranged marriages. How do families make a collective decision about marriage? What does joint-arranged marriage actually look like for most people? What happens when there is a disagreement about when, how, or to whom a young person should marry? Is joint-arranged marriage just an intermediate step as India moves towards self-arranged marriage? To explore what joint-arrangement means for families, I realized that I would need to move from quantitative research, which I have grown most comfortable with, to qualitative research. 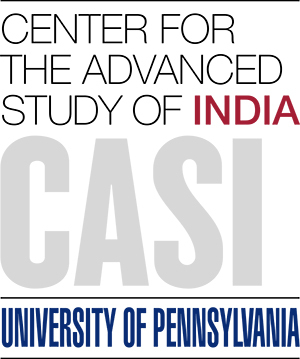 Using the CASI Summer Travel Funds for Research, I plan to conduct an interview-based study of family decision-making around marriage in Delhi. My aim is to interview young people who are on the marriage market and, hopefully, their family members who will also be involved in marriage decision-making. This will allow me to identify where family members agree and disagree, illuminating the family dynamics behind marriage decisions. I look forward to updating you on my project as it progresses.